Who wouldn’t want to grow something like purple sugar magnolia peas, cape gooseberries, cucamelons, or dragon’s egg? These unusual and heirloom varieties of vegetables add an element of fun in the garden and flavor to the table. Plus, they make our veggie gardens more magical…especially if we have kiddos. So let’s change what we grow this year and dive into the HUGE variety of tasty, exotic looking vegetables that honestly take very little effort. 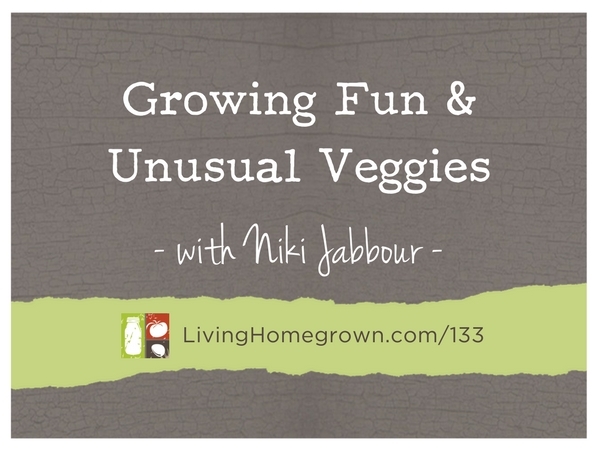 I’ve invited Niki Jabbour, author of Veggie Garden Remix, to share her tips on getting experimental with our vegetable varieties this year. Niki Jabbour is an author and edibles expert from Halifax, Nova Scotia. 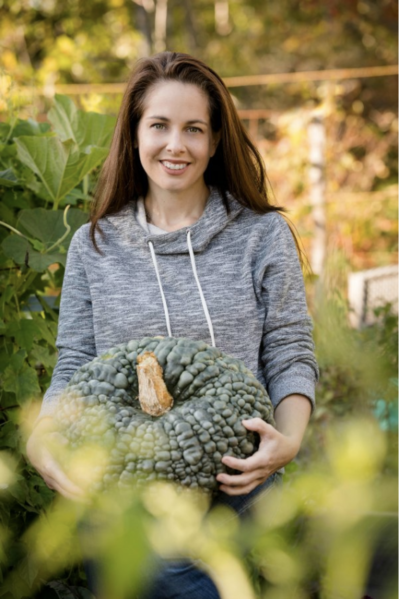 In her backyard veggie garden, Niki has twenty raised beds to grow a wide assortment of different vegetable varieties and experiment with unusual crops like quinoa, peanuts, cucamelons, and burr gherkins. Her first book, The Year Round Vegetable Gardener, was honored with the 2012 American Horticultural Society’s Book Award. Niki’s second book, Groundbreaking Food Gardens: 73 Plans That Will Change the Way You Grow Your Garden aims to inspire gardeners to grow more food – in gardens, on decks, anywhere they can find some growing space. 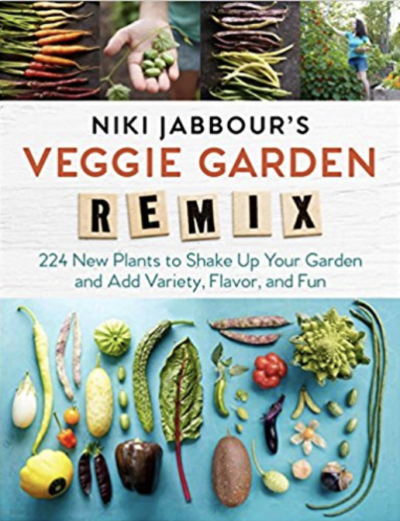 In Niki’s brand new book, Veggie Garden Remix, she invites us to shake up our food gardens with over 224 new, unusual, heirloom and global crops. From amaranth to Indian cucumbers to zaatar to ground cherries, Niki grows the world in her backyard garden. For the last 11 years, Niki has been the host of the radio program, The Weekend Gardener which is heard throughout Eastern Canada on News 95.7 FM. Niki’s work can also be found in Fine Gardening, Garden Making, The Heirloom Gardener, Horticulture Magazine and many other gardening publications. Great podcast. I garden in a couple of community gardens and each growing season I try something new. This year I am growing ground cherries and teft.